Nicely balanced and enjoyable handling, sharp styling, modern-looking interior, great range of engines including impressively efficient diesels. 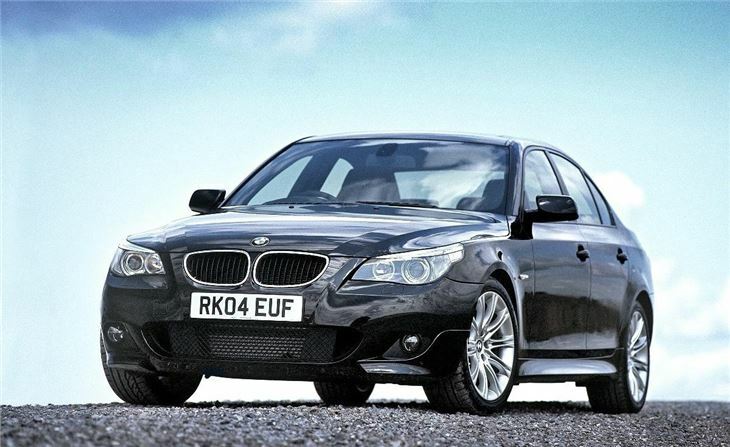 Firm ride particularly on M Sport models. Swirl flap failures in 530d. Injector problems in N53 6 cylinder engine. 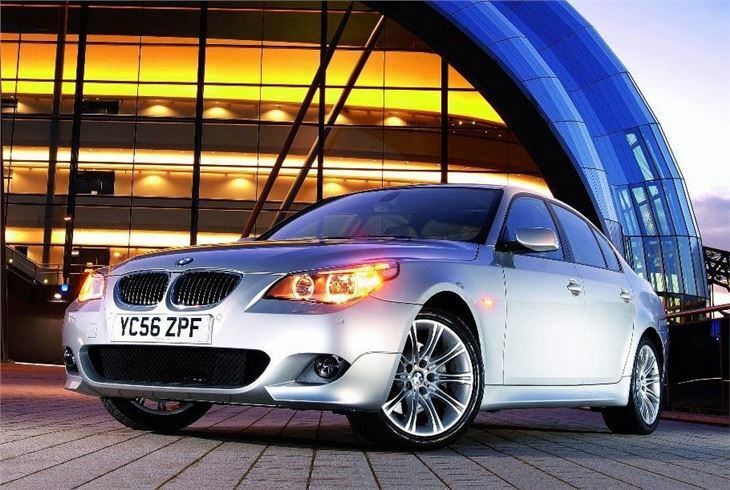 BMW is known for building high quality cars that are great to drive and this is perfectly evident in the BMW 5 Series. 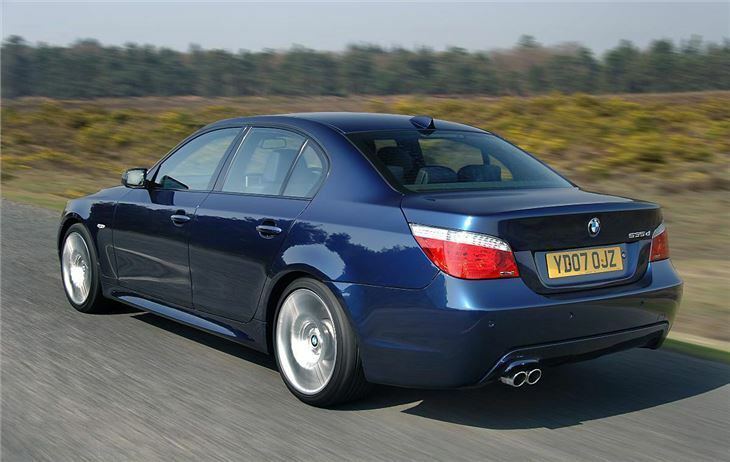 It really is superb on the road with keen handling and great composure in bends, making it the really involving to drive. 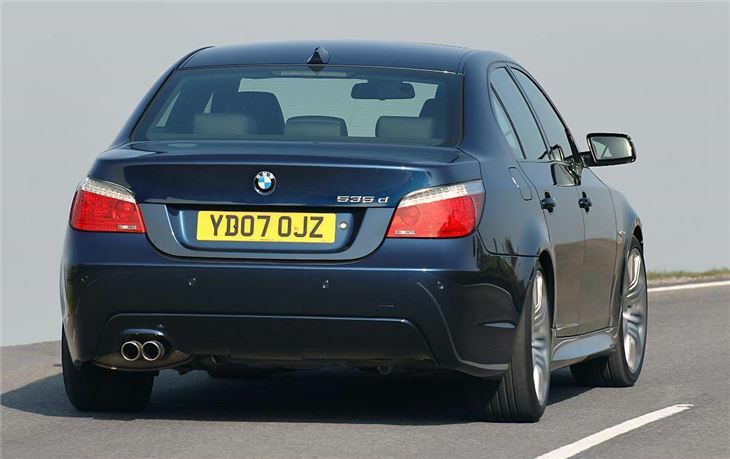 But the BMW 5 Series isn't just about handling, it also has good green credentials and thanks to Efficient Dynamics (the programme of efficiency technology introduced in 2007), offers some very economical engines. 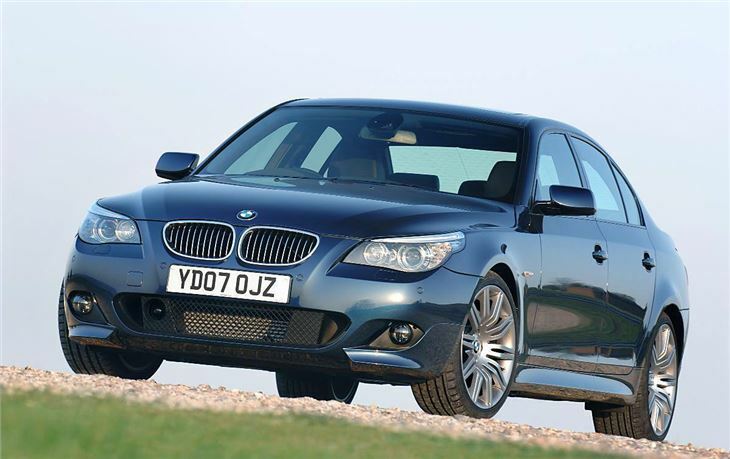 The most popular is the 520d - and engine which belies its small size to provide impressive performance but with great economy of 47.8mpg. 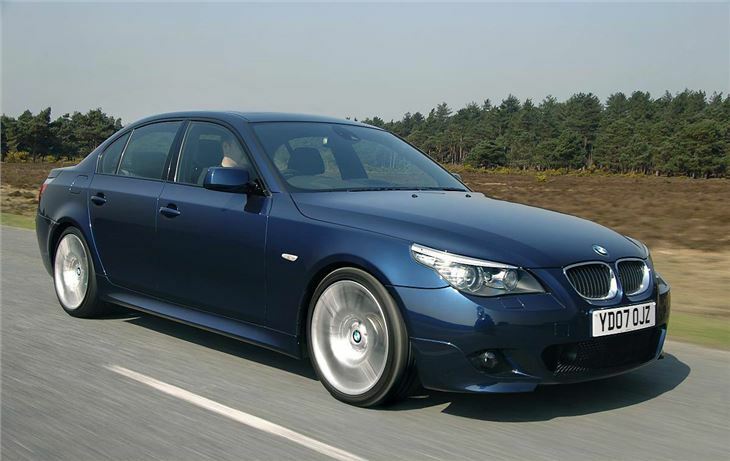 Of course if you want performance there's no shortage of choice either with the punchy 535d and sublime 535i the stand-out choices in the range. And this sporty feel is always evident behind the wheel with an agile and composed feel, especially evident on twisting roads. Of course there is a downside to this - the firm ride. Standard models are acceptable, but those with stiffer and lower suspension, such as the M Sport cars with their larger wheels, can be crashy over rough roads and bumps. 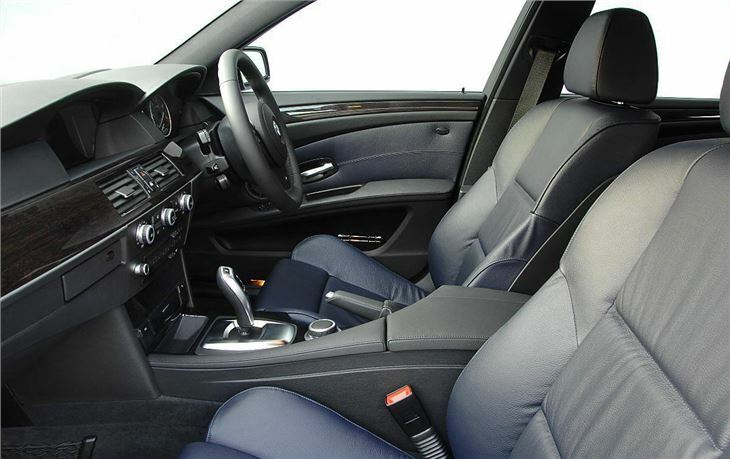 But this doesn't detract from the superb build quality, spacious cabin and modern interior of the BMW 5 Series which is why it's such a popular upmarket saloon and one that's very highly rated by its owners. Iconic shape, with standard setting mechanical's.